Ravindra Jayanti is the day which marks the birth anniversary of the great scholar and novelist Rabindranath Tagore. 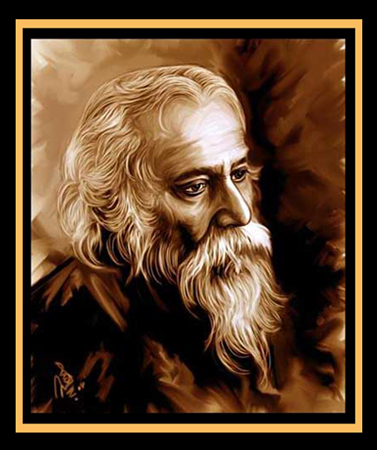 Birthday of the noble laureate Rabindra Nath Tagore is celebrated on 25th day of Baisakh. In Kolkata, it is popularly called Poncheeshe Boishakh and is celebrated ceremoniously and jauntiness all across West Bengal. According to Gregorian calendar Ravindra Jayanti is celebrated on 8th or 9th of May. Rabindranath is remembered on this day and people pay on this day. The celebration of Rabindra Jayanti is among the most important festivals for people in Bengal. Cultural shows and poetry recitations are organized throughout the city in the memory of the great poet- Rabindranath. All cultural activities during the day are held at Jorasanko Thakurbari. Music, skits, dramas, traditional songs and dances are performed in institutes and theaters that are followed by the distribution of awards. Jorasanko Thakurbari and Rabindra Sadan is the main venue of all cultural activities during Ravindra Jayanti. The celebration continues from dawn to dusk. It is celebrated with equal fervour at Shantiniketan, the university started by Rabindranath Tagore. About Rabindra Nath Tagore: Rabindranath Tagore was born in Calcutta in an affluent Brahmin family. Rabindranath was the youngest sibling of the family. An eminent poet, visual artist, playwright, novelist, and composer Rabindranath Tagore gave a new dimension to Indian literature and music in late 19th and early 20th centuries. He became Asia’s first laureate winner of the most prestigious award Nobel Prize in1913. Previous Post WHY NOT THE YOUTH? Next Post “SUICIDE” IS A PERMANENT SOLUTION TO A TEMPORARY PROBLEM.